Dorian Rose is a Research Associate Professor in the Department of Physical Therapy. 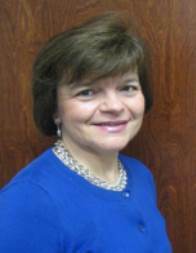 Dr. Rose’s interests as a researcher, educator and clinician are in adult neurorehabilitation. She is currently Clinical Research Coordinator for the NIH-funded trial, Locomotor Experience Applied Post-Stroke (LEAPS), and is Principal Investigator of “Homeward Bound,” an investigation in partnership with Brooks Rehabilitation Clinical Research Center to examine the effectiveness of translating motor learning principles into clinical practice. Her research interests are in developing intervention strategies, based on principles of neuroplasticity and motor learning, for the rehabilitation of post-stroke motor control deficits. Dr. Rose received her Ph.D. in Biokinesiology from the University of Southern California.